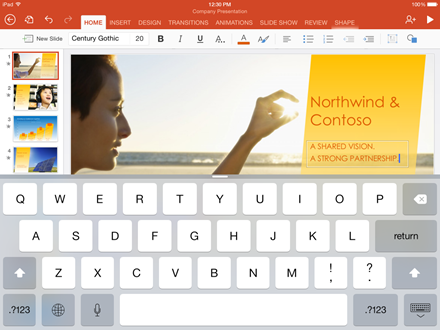 Microsoft has announced some very good news for iPad and iOS fans of their Office suite – you can now use free versions of Word, Excel, and Powerpoint to create and edit Office documents on iOS devices, with no more requirement to have an Office 365 subscription. Apart from being great news for iOS users, I think this a smart move by Microsoft. They were very late in making Office available on the iPad and there are a number of good alternative apps around for working with Office type documents – some of them free or lower-priced than Office for iPad originally was. I like a lot of the moves Microsoft has made since their new CEO, Satya Nadella, took over. You can see more detail on Microsoft’s plans for Office on mobile devices at this Office Blogs post.